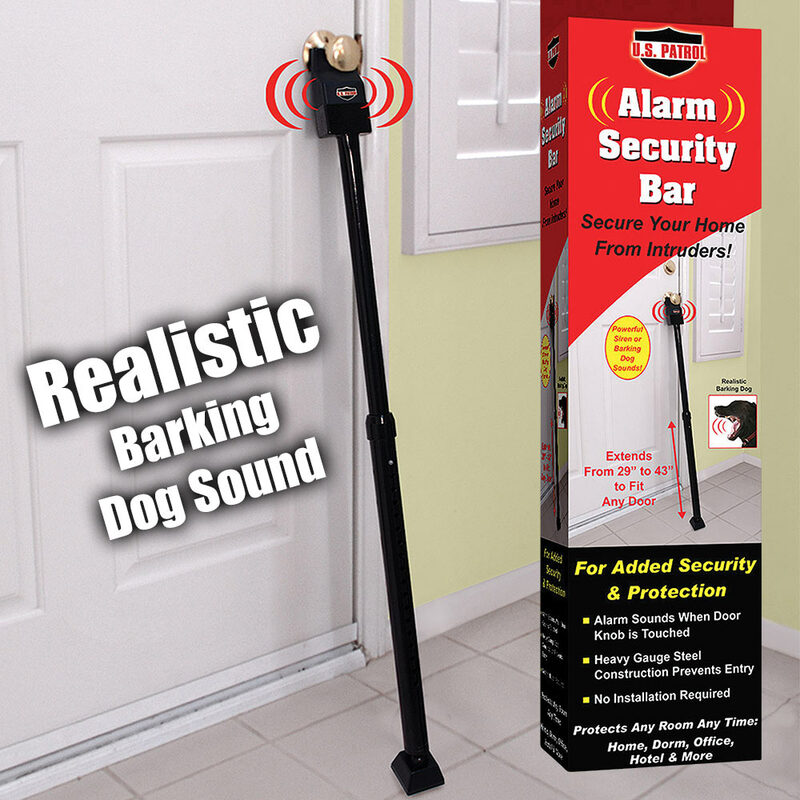 Ideaworks Alarm Security Bar - Fits Any Door | BUDK.com - Knives & Swords At The Lowest Prices! 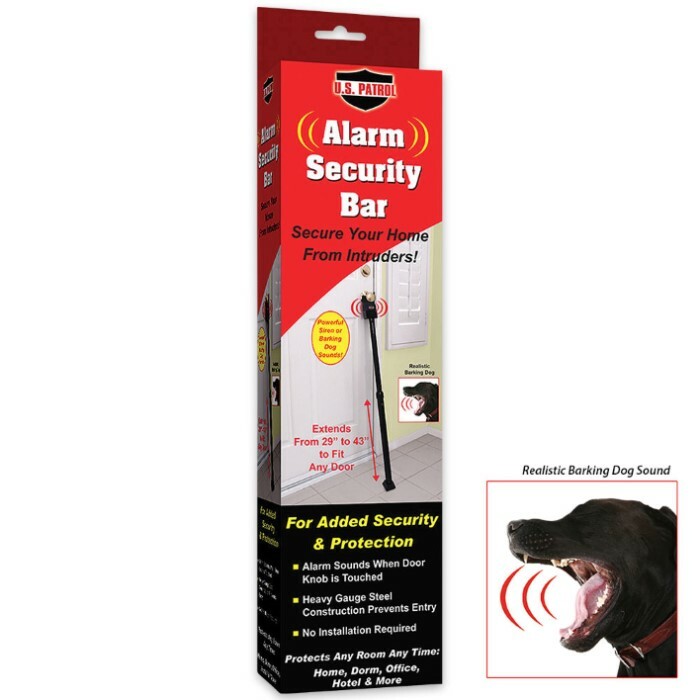 The Alarm Security Bar from Ideaworks secures your home, dorm, office or hotel room from intruders. It is added security that is sure to give you peace of mind! As soon as the doorknob is touched, the alarm will sound like a powerful siren or barking dog to warn you that someone is trying to enter. The heavy gauge steel construction ensures that it is a rock solid security bar. It expands from 29” to 43” so that it will fit any door. This is my second attempt to write e review for the Ideaworks Security Bar! My first review was not put on this website due to the negative things that are wrong with this product. First, the sensitivity adjustment cannot be adjusted after many attempts. Every time I think its set it does not work time and time again. When you touch the doorknob it does not set off the alarm. Second, the battery compartment is made of plastic and is warped out of shape and the battery cover does not stay on. The reason I bought this is to block someone trying to kick in my front door and the only thing that this product is good for so I decided to keep it for that reason which is why I bought this in the first place. Why my first review did not get put up is a good question. Let the masses know BudK! Dig It?